The role of weather in one’s health cannot be denied. A pleasant weather is enough to make oneself energetic. Extreme and harsh weathers demand care and prevention. Pets are unable to protect themselves on their own. 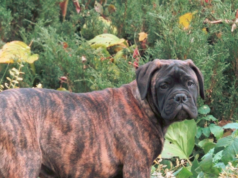 Owners should take sagacious steps and use brilliant methods to ensure the best Bullmastiff dog winter care. It takes a longer time to recover from bad health. Hence, it is better to take preventive measures. Bullmastiff dog winter care can be ensured by knowing about What is a safe temperature for a dog to be outside in winter, What temperature is too cold for a bullmastiff dog, How much water a bullmastiff dog should drink in a cold day and Things You Can Do to Protect Your bullmastiff Dog in the winter. What is a safe temperature for a dog to be outside in winter? Safe temperatures are those which does not affect the health of living beings. The temperature which is unbearable or unsuitable for human beings is also unsuitable for the dog. Both extremely hot and extremely cold kinds of weather are enough to cause health issues. In the winters, the temperature of the environment becomes quite reduced or low. 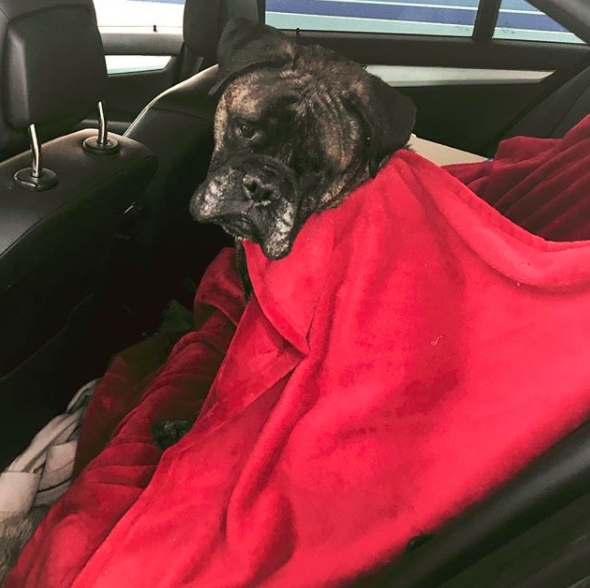 What temperature is too cold for a bullmastiff dog? When the temperature is below 32 0F then it may cause frostbite in the dogs. Owners should promptly take their dog to the vet when the dog is suffering from frostbite or hypothermia. 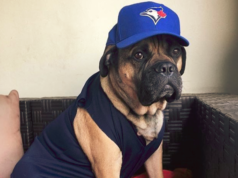 Taking the Bullmastiff health for granted can be quite dangerous and risky for its life. The average lifespan of the Bullmastiff dog is 8 to 10 years. 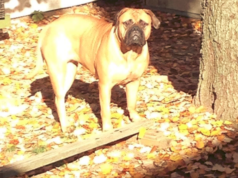 How much water a bullmastiff dog should drink in a cold day? Th recommended amount of water to be taken by the dog on per day basis ranges from ½ to 1 ounce per pound. However, the demand of the water increases in the hot weather while it got decreased in the winters. The weather poses a great impact on a pet’s life. Avoid giving cold water to the dog in the winters. Take your dog to the vet if it is suffering from infection, flu or seasonal allergy. Bullmastiff dog winter care should be ensured by all means. The owners should try their best to protect the dog from the harsh weather. In the winter, it is necessary to change the meal of the dog in accordance to the weather. Provide warm fluid or soup to the dog to boost up their energy and strengthen their immune system. Shift the dog house near the warm place. Cover the dogs properly in the winters to ensure their good health. Do not leave the dogs alone outside the home. Falling of the environmental temperature lower than the 450F is quite problematic and uncomfortable. Hence, owners should protect their dogs just like their kids. Just like Bullmastiff dog winter care, the Bullmastiff dog summer care is of great significance. Summers can badly threaten one’s life. Read more about it!